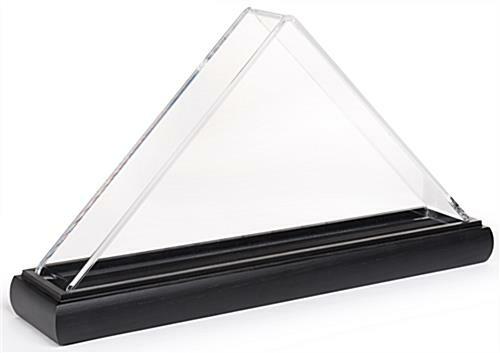 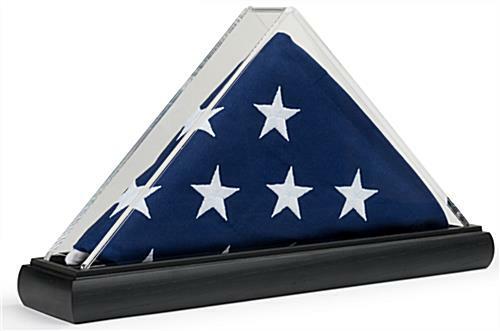 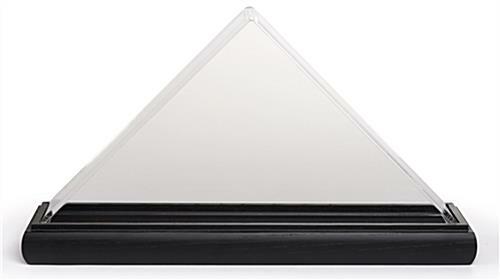 This clear triangle acrylic US flag box makes a perfect display case for 3’ x 5’ ceremonial banners or commemorative keepsakes. 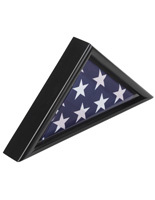 Complete with a black solid oak wooden base, this is a perfect way to showcase military memorabilia. 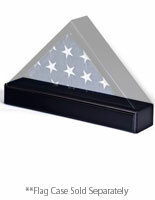 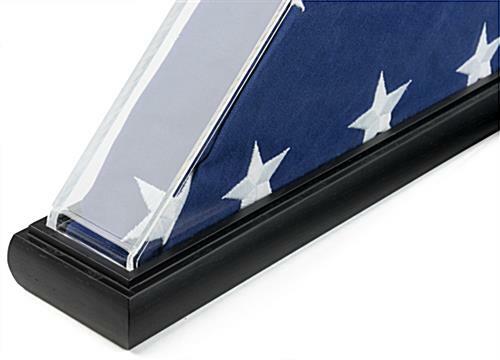 This tabletop acrylic US flag box makes a great addition to any home or public venue. To assemble you simply lift the enclosure off the wooden base and insert your folded ceremonial banner or commemorative keepsake. 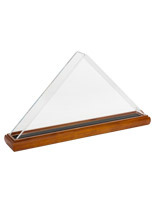 This display case will compliment your existing décor. 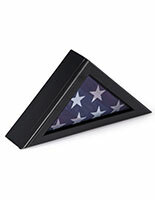 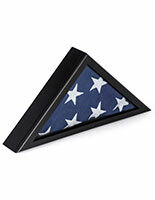 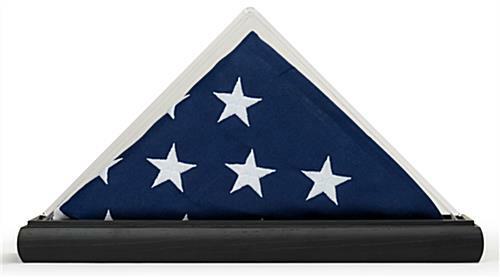 Honor our military and show American pride with the addition of this flag box! 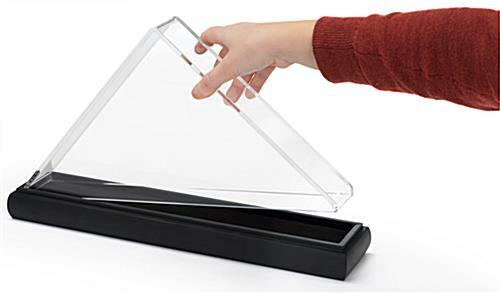 16.5" x 9.0" x 3.5"
14.8" x 7.5" x 1.9"